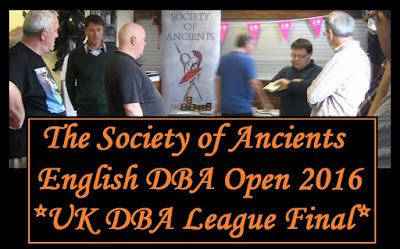 The 2017 season is up and running ... the Southern Shows team will be at Cavalier next weekend (I am hoping to give them a hand), there is a Society sponsored DBA Pairs event at Alton the day before (SoA UK DBA League) and Shows North will be part of the DBA Northern Cup at Hammerhead the week after. 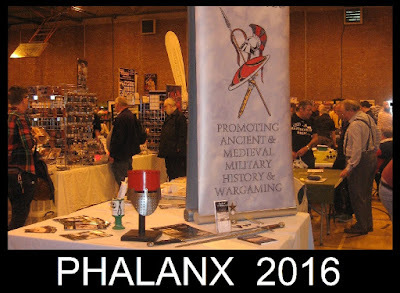 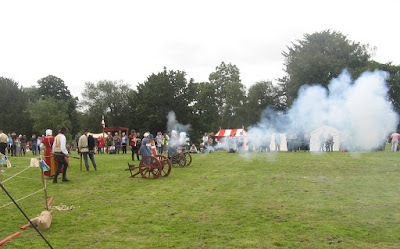 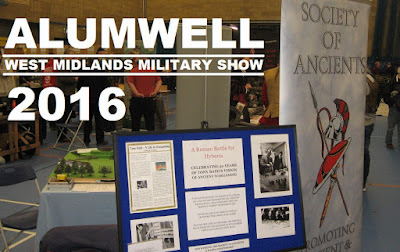 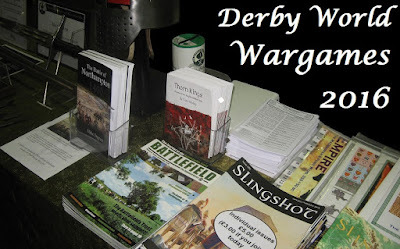 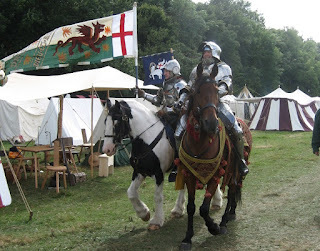 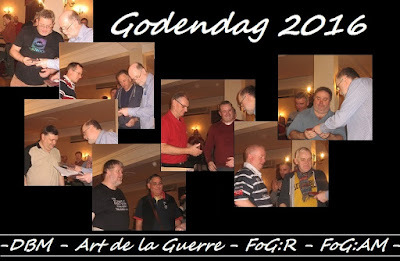 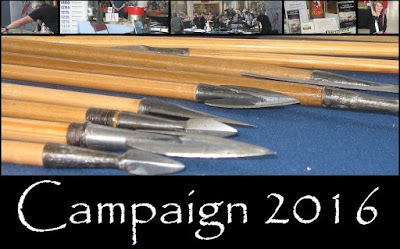 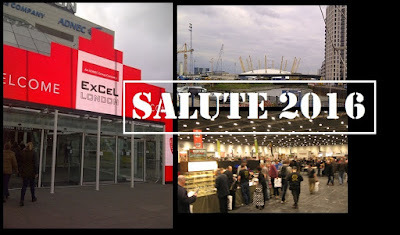 12 were public wargame shows, the others Society events, reenactments, tournaments etc. 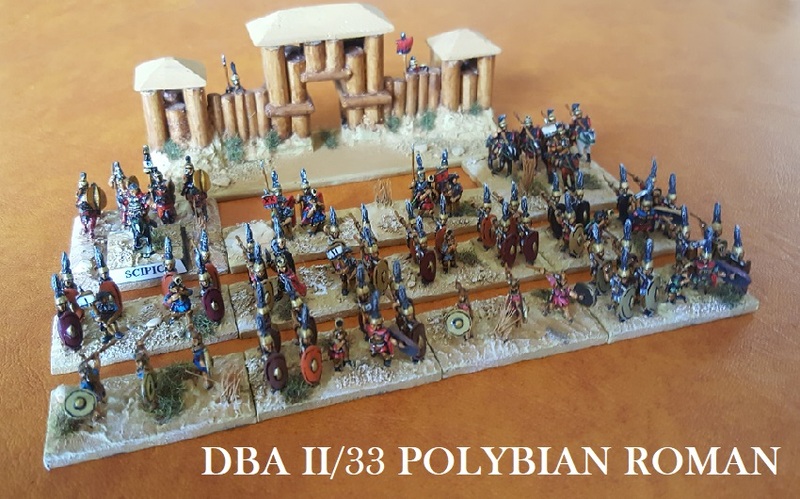 Clicking on the pictures takes you direct to the report. 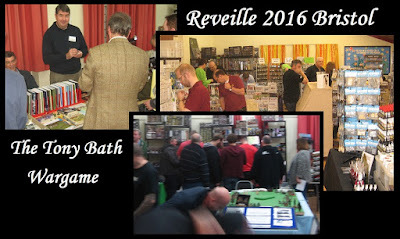 By special request, we took the Tony Bath game to Reveille with the History of Wargaming Project .. 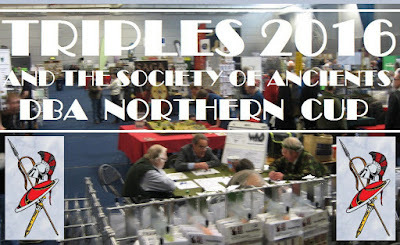 Despite its ups and downs, 2016 was an excellent year for the Society's Northern Shows team. 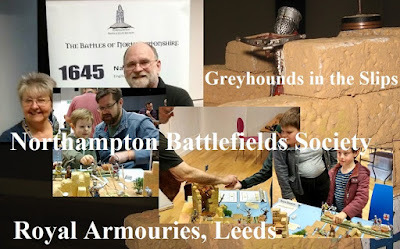 It was brilliant to be putting on wargames in the Royal Armouries, Leeds, again. 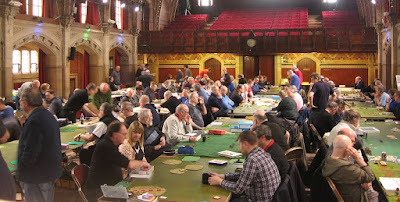 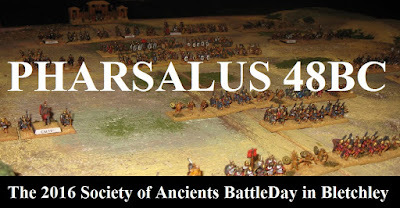 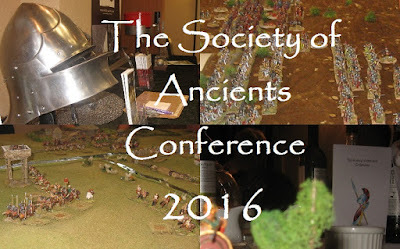 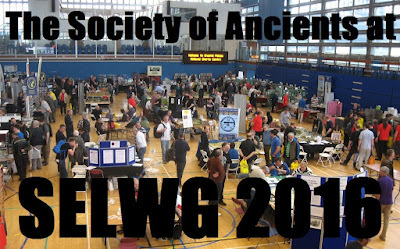 We had some new DBA events ... and new players ... and a return of the much missed Society of Ancients Conference. 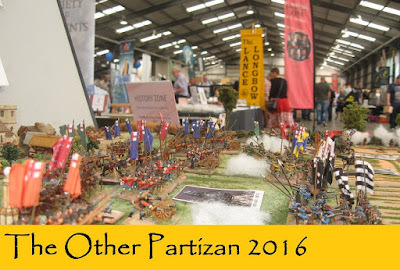 High spots other than the Conference? 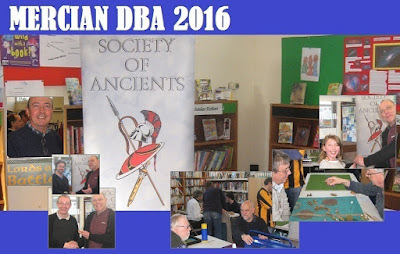 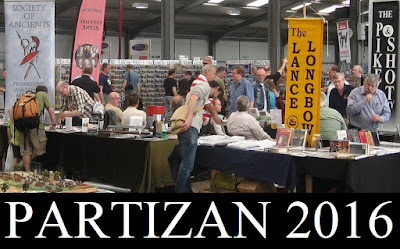 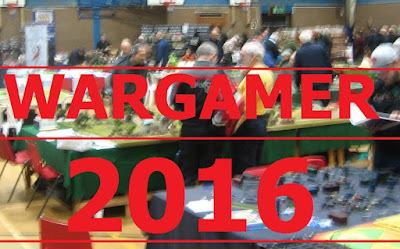 For me the success of the Tony Bath wargame, and allied to many of our combined events, the onward march of Northampton Battlefields Society: with some new awards, and a new game developed from the particiaption game we ran at several of the 2016 joint SoA/NBS show stands. 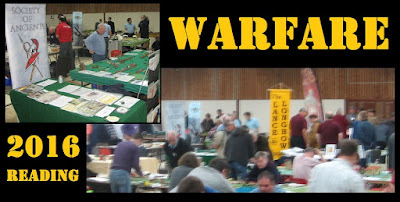 I'll add more on the NBS wargame in a separate post as I know many members have asked for info.